Dr. Marie Bountrogianni is Dean of The G. Raymond Chang School of Continuing Education at Ryerson University. Prior to joining Ryerson, she was president and executive director of the ROM Board of Governors. As a former Ontario cabinet minister, Dr. Bountrogianni served as minister of a number of portfolios including Intergovernmental Affairs, Democratic Renewal, Children and Youth Services, and Citizenship and Immigration. 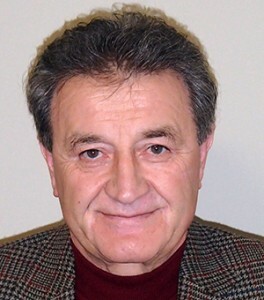 Prior to entering politics, Dr. Bountrogianni was the chief psychologist for the Hamilton Wentworth District School Board. Marie has taught at Seneca College, McMaster University and Wilfrid Laurier University. She holds a doctorate in Applied Psychology from the University of Toronto. Alexandros Ioannidis is the Consul General of Greece in Toronto. 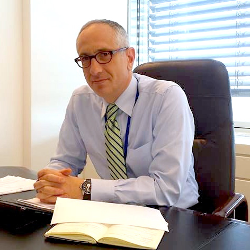 He joined the Consulate in Toronto in 2014, and has held a variety of roles in the Ministry of Foreign Affairs of the Hellenic Republic. Mr. Ioannidis has previously served as Deputy Head, Cabinet of the Deputy Minister (EU and Economic), Director, Office of the Secretary General for International Economic Relations and Development Cooperation, and European Correspondent, A11 Department for the European Union Common Foreign and Security Policy. Mr. Ioannidis holds a Bachelor of Arts in Economics from Rutgers University, and a Master of Arts from The Fletcher School of Law and Diplomacy at Tufts University. Steve Mirkopoulos is the president of Cinespace Film Studios. Cinespace specializes in the development, management and operation of studio space and support facilities for the film, television, and digital media production industry. Founded with his brothers Nick and Larry nearly 30 years ago, Cinespace now operates three studio campuses in Toronto, as well as a large studio campus in Chicago. Constantine Karayannopoulos is Chairman of the Molycorp Board of Directors. He previously served as the Board's Vice Chair, and as interim President and Chief Executive Officer. Prior to its acquisition by Molycorp in 2012, Mr. Karayannopoulos was President and Chief Executive Officer of Neo Material Technologies, a position he held since 2005. Prior to that, Mr. Karayannopoulos held several senior positions at Neo Materials and at Praxair Canada Inc.
Chris Goulakos is an Investment Associate at Clarke Inc., where he focuses on long/short, special situation, event-driven and relationship investments. Prior to Clarke, Chris was an Investment Analyst for The Square Mile Group, an opportunistic value hedge fund.